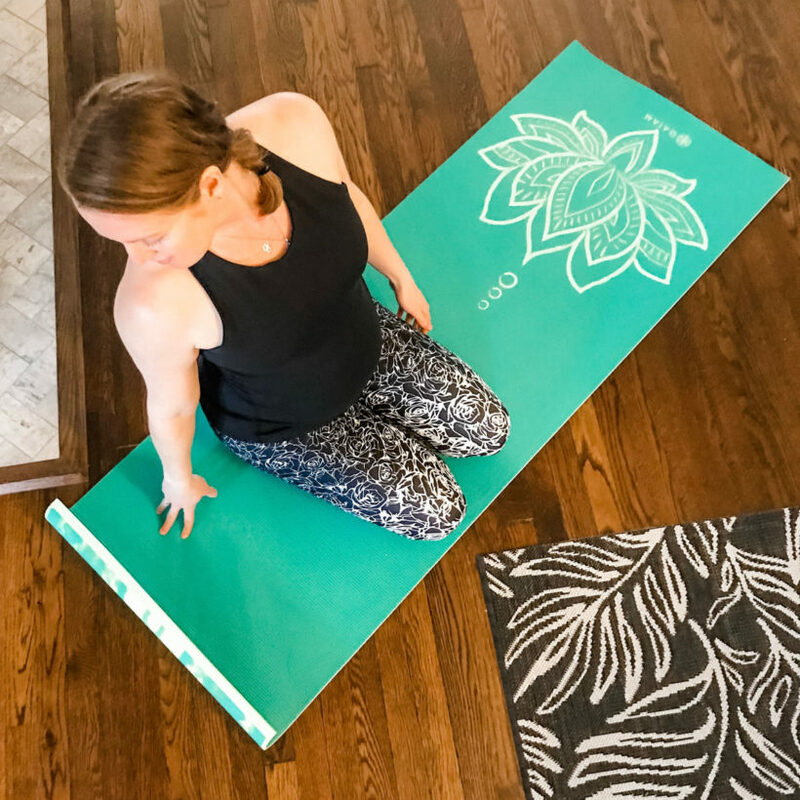 I (Kristen) was sitting on my mat the other day, watching my fellow yogis wander in and set up their spaces, and, I had a thought: What we look for in yoga clothes has quite a bit in common with what we seek out in a class. 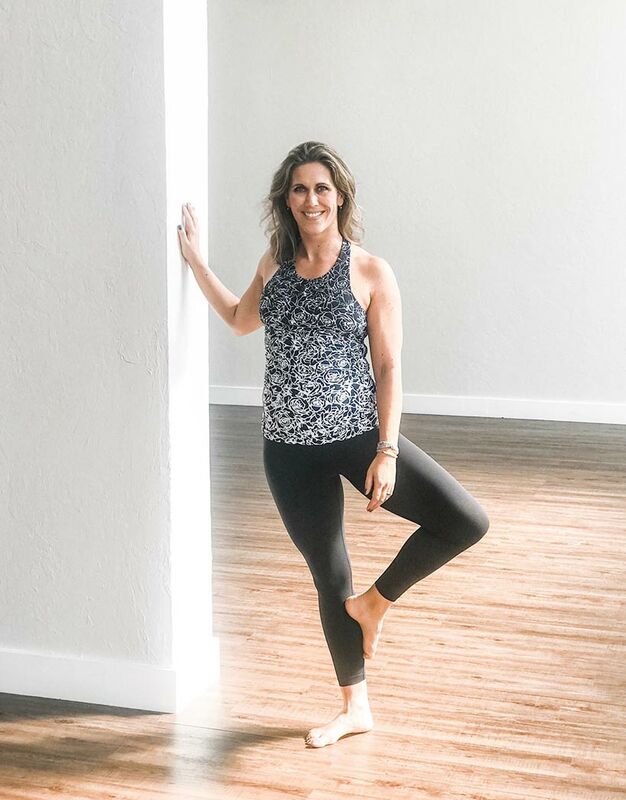 Kristen is in: Grace Vinyasa Racerback in Black Etched Floral and Grace Ultra High Waist 7/8 Yoga Legging. But there’s also something to be said for appreciating the way something looks. 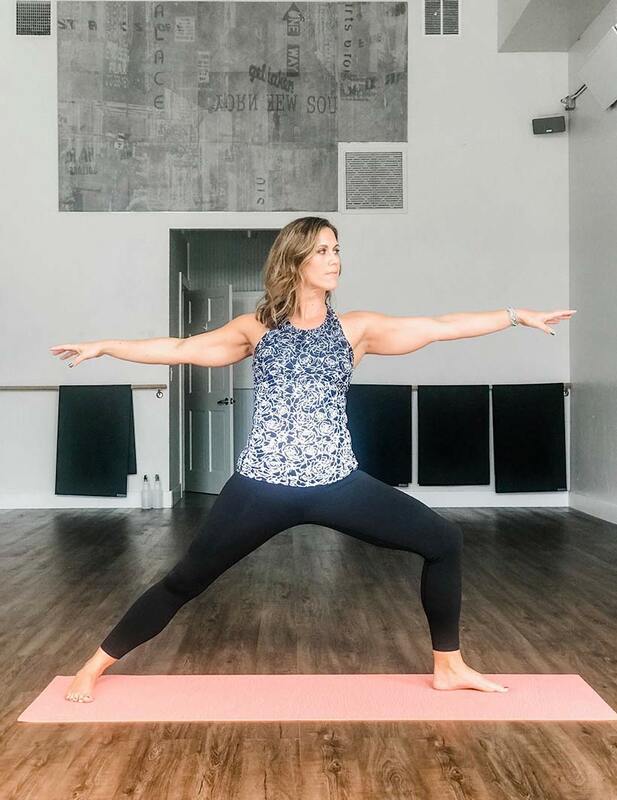 The yoga studio that I attend, for example — The Yoga Shack — is clean and sleek and radiates both peace and power starting the moment I step inside, and that influences my practice. And KiraGrace’s Black Etched Floral collection that Jenn and I had a chance to check out? It’s just gorgeous. Jenn is in: Grace Vinyasa Racerback in Black and Grace Ultra High Waist 7/8 Yoga Legging in Black Etched Floral. 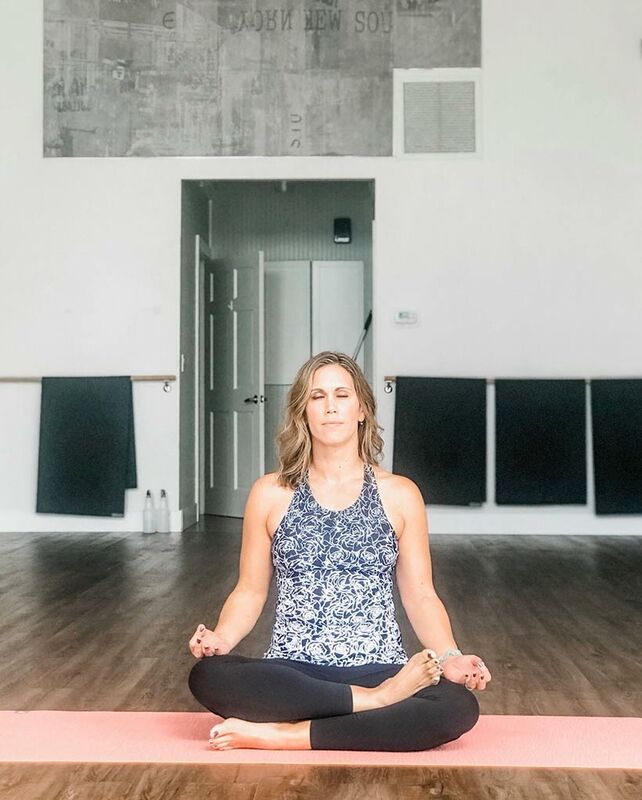 That pattern on the Grace Vinyasa Racerback (which is also available in black as well as white) subtly shifts from darker to lighter, which just looks darn cool. The built-in shelf bra offers sufficient support for yoga (although we’d add a bra if you’re planning any medium- or high-impact activities), and it’s long enough to fit well on even the longest-waisted among us. 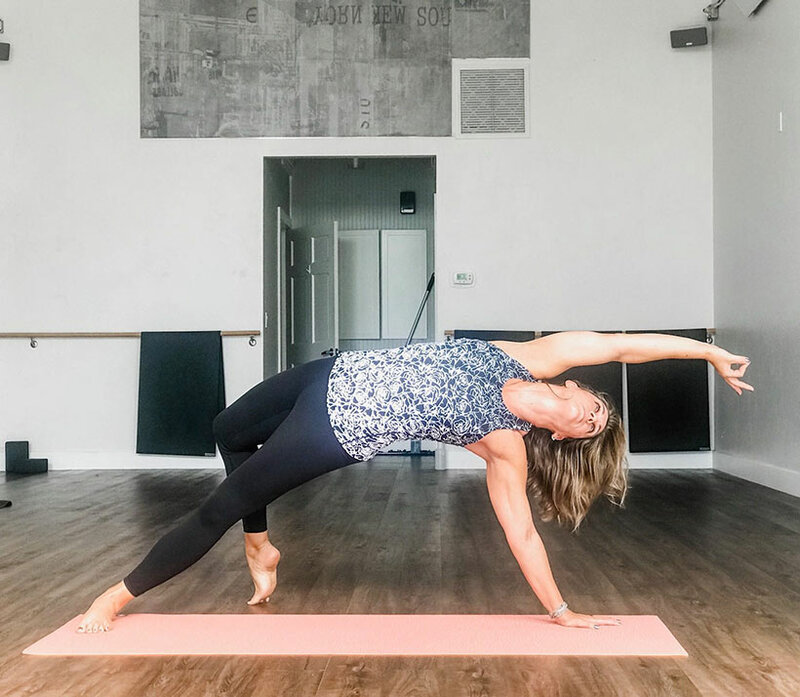 Plus, the fabric was lightweight enough to feel comfortable throughout a warm yoga class — not that I’m opposed to stripping down and being a Bra Girl! But sometimes, you feel like having more coverage, and this provides it. 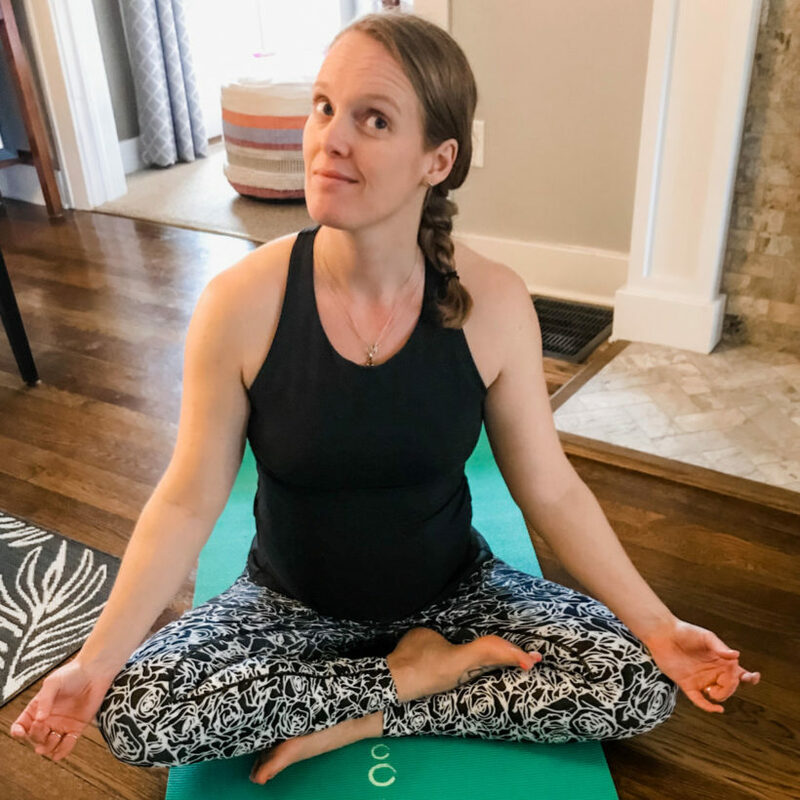 I also received the Grace Ultra High Waist 7/8 Yoga Legging in black, and it’s quickly become one of the items I wash almost as quickly as I wear them because they’re just so versatile. The high waist means they’re great with a crop top or with a fitted top (or, honestly, with just about anything). However, they’re also available in that cool Etched Floral (as well as a variety of other colors and patterns), and I’m not gonna lie — I am tempted. And if Kristen is feeling tempted, this probably won’t help. Because I got to try the Grace Ultra High Waist 7/8 Yoga Legging in Black Etched Floral and, yep, they’re awesome. 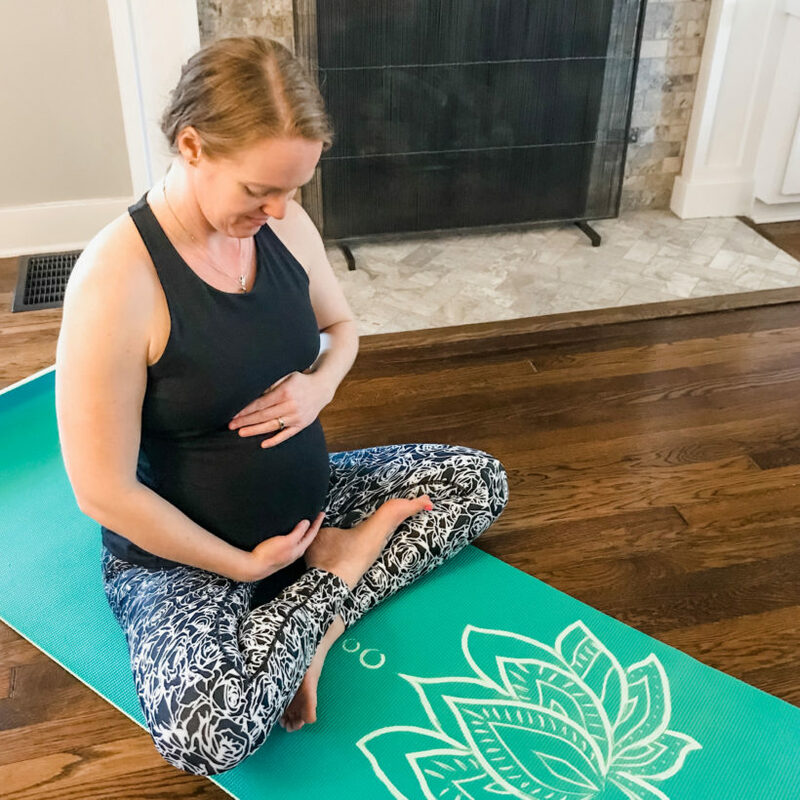 Soft, stretchy and buttery — without slipping down when you move — I ordered these a size up to accommodate my growing twin bump and they felt really great on. The pattern and the fade in the pattern is fun while still being pretty neutral, and I loved the long length of the pants (I also imagine I’ll love the high-waist support post-babies!). I’ll echo everything Kristen said about the Grace Vinyasa Racerback. I tried it in black, and adored the fit, length (again, I ordered a size up and it was long enough to cover my 20-week twin bump! ), and the feel of the fabric — stretchy and luxurious without feeling heavy. If you’re larger chested (which, I am these days), I would definitely recommend pairing with a bra for additional support.